The tours last approximately 15 or 20 minutes. Helicopter Tour and Helipad Fee. With tours ranging from romantic tours to sightseeing tours, you can soak in the sights such as the beautiful New York Skyline, the Chrysler Building, the Empire State Building, the Hudson River, Central Park, Ellis Island, the Statue of Liberty and more as you fly high above the congestion and noise. 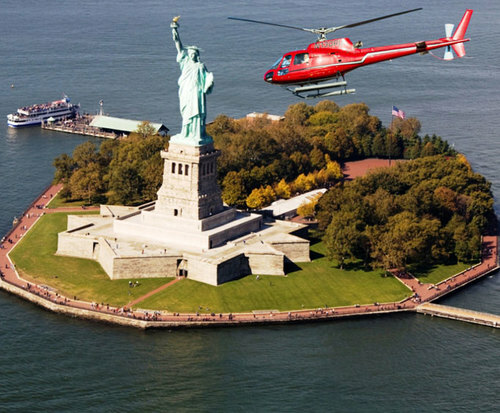 Whether you're looking for a romantic flight over the city or hoping to come face to face with Lady Liberty, there's sure to be a helicopter tour to perfectly fit your vacation plans in New York City. 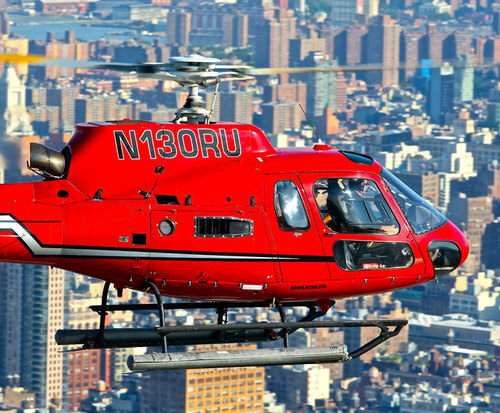 Gazing out the large windows on the Big Apple Helicopter Tour, passengers will feel as though they can reach out and touch the different landmarks. There is no other way to see so much of the city in such a short duration than with these helicopter tours. With breathtaking views, an adrenaline rush, an seeing the city from a different perspective, this is an experience that you don't want to miss. 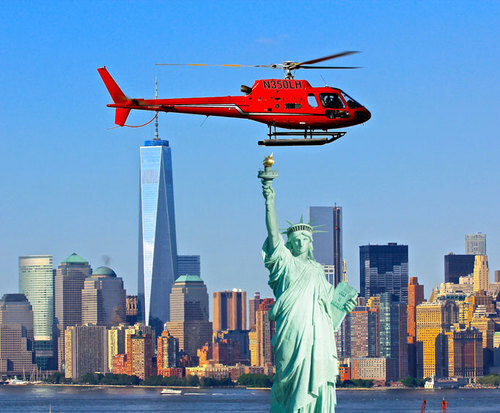 The Big Apple Helicopter Tour offers you even more options, combining the Statue of Liberty Tour with the Empire State Building, the Chrysler, Woolworth and Met Life Buildings, Central Park and the George Washington Bridge. The Big Apple Tour lasts 12-15 minutes. The New York, New York Tour provides amazing views of all of the above, as well as Yankee Stadium, Columbia University, John the Divine Cathedral, and the Palisade of New Jersey, as well as more. The New York, New York Tour lasts 18-20 minutes.The New York, New York Helicopter Tour is titled as a harbor tour, and while the harbors will be explored, travelers will gain an encompassing view of New York City along this tour. Soaring over waterways, bridges, buildings, and even Yankee Stadium, you'll discover New York in a whole different manner with this tour.